Chaos Created is pleased to announce that we’ll be presenting and workshopping at three new TeenTech days in Spring 2014. Chaos Created first became involved with TeenTech back in October of last year. Ali from Chaos, alongside Liz Rice from Tank Top TV, presented to 300 pupils from various Kent schools about creating apps, the thought process behind the apps we’ve worked on, and how we got into creating apps and games. Liz showcased some of her work on apps including Skype and Tank Top Movies, whilst Ali talked about his work on Timedancer, Zombies Ate My City and Langeroo. 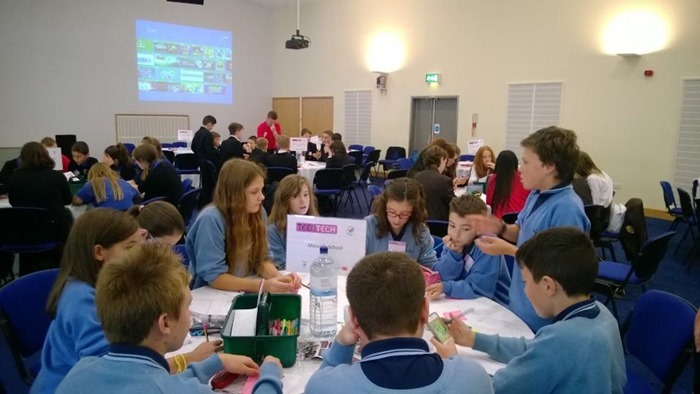 We then worked with the pupils, in small groups, to develop their app ideas which they then pitched to the other groups. We were delighted to be asked back for three more events where Ali and Liz will again be presenting and running the workshops. To discover more about TeenTech, please visit their web site at http://www.teentechevent.com.